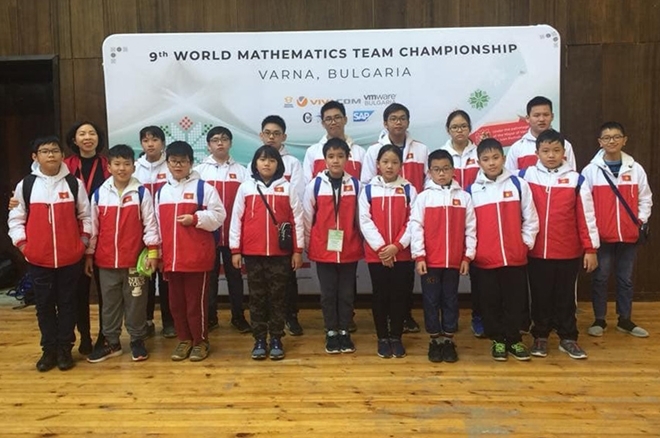 All 36 Vietnamese students won individual and team prizes when competing with at the World of Mathematics Team Competition (WMTC) held in Varna, Bulgaria from November 19 -26. 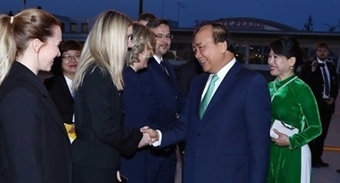 According to the VNS, the Vietnamese team brought home a total of nine gold, 13 silver, and 13 bronze medals, and a consolation prize. The contestants includes Vu Hong Phuc, a young 8th grader from Cau Giay Junior High School, Hanoi, who ranked 3rd in the competition’s individual event. Three teams from Giang Vo, Ba Dinh and Cau Giay secondary schools were listed amongst the top teams in the competition. Of the teams the group from Cau Giay secondary school achieved a third place finish in the competition. The WMTC 2018 attracted a total of 387 students made up of 67 teams representing 16 countries from across the world. This year, Vietnam has sent 36 students from both primary and secondary schools in Hoan Kiem, Ba Dinh, and Cau Giay districts to the event. The first WMTC was launched in 2010. In the last years, the WMTC brings big opportunity for students to compete, develop teamwork skills and share experience and culture through tours and other academic and cultural activities.